As you turn left into Devanahalli, you see stretches of vegetation interspersed with an odd house or a shop. There are signals indicating farms and offices dotting the area. One such signal points towards the Embassy International Riding School, India’s premier horse riding school, nestled behind tall gates and spread across 240 acres. Inside, to your left, you see a green, wide expanse of a round yard, flanked by automatic horse walkers. There are three dressage and floodlit show-jumping arenas, along with a separate warm-up arena, where the horses are stabled. The EIRS has residential facilities for children and adults participating in various competitions, apart from a swanky ranch boasting a grandstand. EIRS is where the dream to see India win medals in equestrian sports took birth. It is the brainchild of Jitendra Virwani, chairman of Embassy Group, and a leading real estate developer. Virwani is mostly away on business trips. So, the operations at the EIRS are handled with horsewhip precision by the jockey Silva Storai, Italian but totally Indian, right down to her difficult-to-miss nose ring. Storai, in fact, is the only professional woman jockey in India with two Derby wins to her credit. She, along with Virwani, Fouaad Mirza (Asian Games individual medal winner), Dr Hasneyn Mirza (Fouaad’s father), Lara Becker and former Olympic medallist Bettina Hoy, form the core group at the EIRS. They plan and prepare the riders individually. 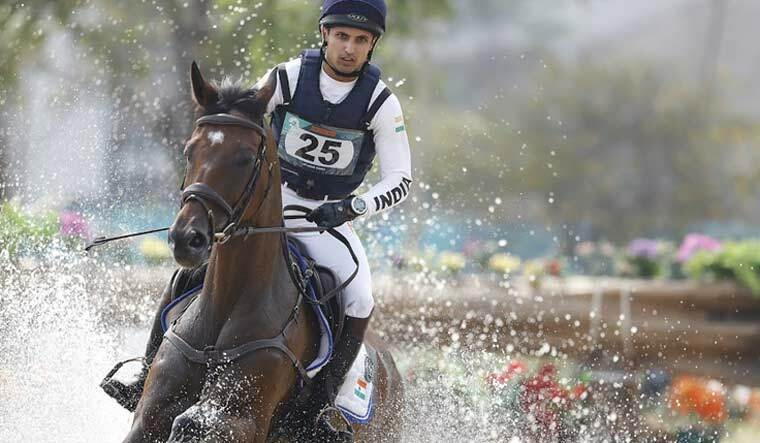 When 26-year-old Fouaad became the first Indian rider to win a silver medal after 36 years in the Asian Games in Jakarta astride Seigneur Medicott, so did the eventing team comprising Mirza, Jitender Singh, Akash Malik and Rakesh Kumar. Virwani's persistent yet silent support paid off. It was he who personally sponsored the better warm-blooded European horses for the team members and bid for the foreign coach. This, apart from sponsoring training stints for the Indian team in Germany—funding their boarding, lodging, logistical requirements, selecting the veterinary staff and trainers for the horses and riders. While Fouaad has been Virwani’s protégé ever since he was five, the rest came on board last year. Virwani, who was present at the games, makes no bones about the missed gold. “I am a greedy Sindhi!  I wanted to go up and squeeze his throat,” he said. The Jakarta performance meant so much for Indian equestrian. So much was at stake. Virwani waited for 12 years for the moment. The story of equestrian sport in India has been punctuated with more controversies than achievements. Selection issues, legal challenges, lack of proper planning, funding and lack of accountability have seen Indian equestrian being pulled down by both administrators and riders in the past. Add to that, the astronomical costs involved in preparing a team. Given the quality of horses that Indian riders—mostly from the Army—have had access to—the odds have always been stacked against the riders. Virwani's backing and Fouaad's silver beat these odds. In fact, Fouaad had far better horses—of European pedigree. Also, he was training under a foreign coach in Europe. The eventing team was based in Europe for four months ahead of Jakarta, thanks to Virwani. Recounting what spurred him to pump money into a niche sport, Virwani said, “Initially when we set up a riding school, we realised that there were so many talented Indians who wanted to ride but could not afford it. Then we thought these kids should compete abroad. India had not won a medal for a long time and the starting point for an Indian was only the Asian Games. In a sport run and dominated by the Army, Virwani remains the perennial outsider. He entered the picture of sponsoring and supporting riders for team India more than 12 years ago. Yet, his efforts were rebuffed and went unacknowledged by the federation. Until now. In the 2010 Guangzhou Asian Games, the Indian team did not participate due to a quarantine issues. Again, in 2014 Incheon Asian Games, the team could not participate due to selection issues. What’s more the team nearly did not go to the 2018 Jakarta Asian Games! The Equestrian Federation of India announced a team of riders only to recall it in 24 hours. There was outrage, with riders having spent months in Europe training and aiming for qualification norms. Virwani dashed to Delhi to make the team's case with corridors of power, so that the EFI office-bearers relent. It was only after the IOA cracked the whip on EFI and demanded transparency that the teams were selected for Jakarta. Viwani said he was frustrated. “I wanted to send my resignation to the federation. But something inside me said if I give up, India will be wiped off from the international arena. I am glad I did not give up. Now, the people who were working against it have changed their walk and talk. I am hoping things will get better from here,” he said. While acknowledging the role of the Army, Virwani questioned the protocol and seniority issues which hamper decision-making. “Federation needs Army because it has facilities, but having serving Army officers in federation are detrimental to the EFI because they are caught up with the hierarchy and position. They cannot say no even if they want to,” he said, “Some officers I see are taking decisions that they don’t want to,” he said, pointing to the pre-Jakarta selection fiasco, where the team initially announced was recalled abruptly allegedly on “orders from the top”. There are differences between the EFI and Virwani over selection process and whether to aim for Olympics or not. The EFI believes India cannot be in race for Olympic qualification or medal, and hence it is best to stick to planning for Asian Games. Virwani thinks that having proven at continental levels, India must try to aim higher. “Why do we have such a stringent selection criteria? No country has this selection criteria where you are ruining your horses by putting them through five trials before the Asian Games,” asked Virwani. Virwani is aiming for individual qualification for Tokyo 2020 in the short time left. “I said in the AGM that for Olympics I will be backing only Fouaad. The Army guys I am not certain of. There is lack of time, team has to qualify which will be tough. Now it is too late to get team going in such a short while. We are in a strong group with NZ and Australia. I think we should focus on Asian Games and 2024 Olympics. If 12 years ago we had gone into some proper system and planning we would have been somewhere else today,” he said. Qualifying for individual spots will be difficult for Tokyo 2020, said Col. Swain. “New Zealand, Australia and Thailand are grouped with us. With Australia and New Zealand likely to qualify via world equestrian games, it leaves us to compete with Thailand. It will not be right to send team to Olympics for now,” he said. The EFI feels with the cost of training for Olympics running into Rs 40-50 crore, it is unlikely the riders would get such massive support from government via TOPS funding. Besides, with the Army most likely to push for funding for its own riders, civilians like Fouaad will be left to pursue for same on their own. It remains to be seen whether EFI sends the entries to the Olympic qualifying events.